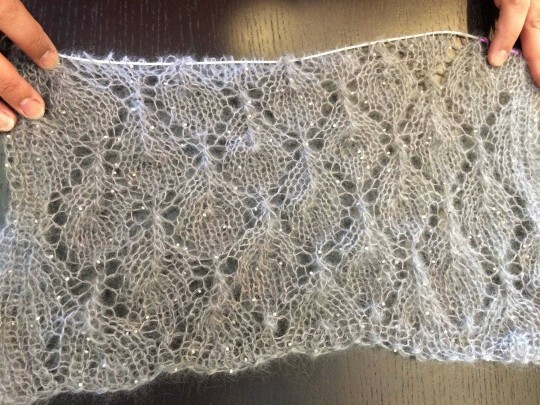 We just wanted to show you Christina’s beautiful wrap-in-progress. 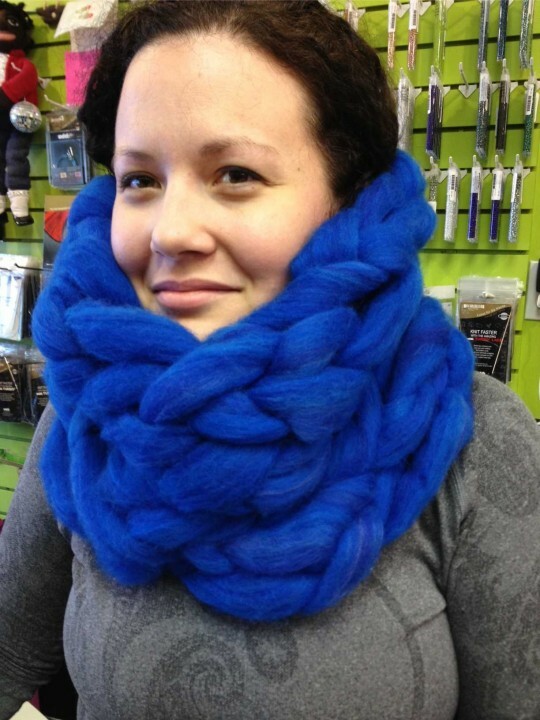 It’s her own design and she’s knitting it from the gorgeous Kid Seta Pearl we showed you a couple of days ago! 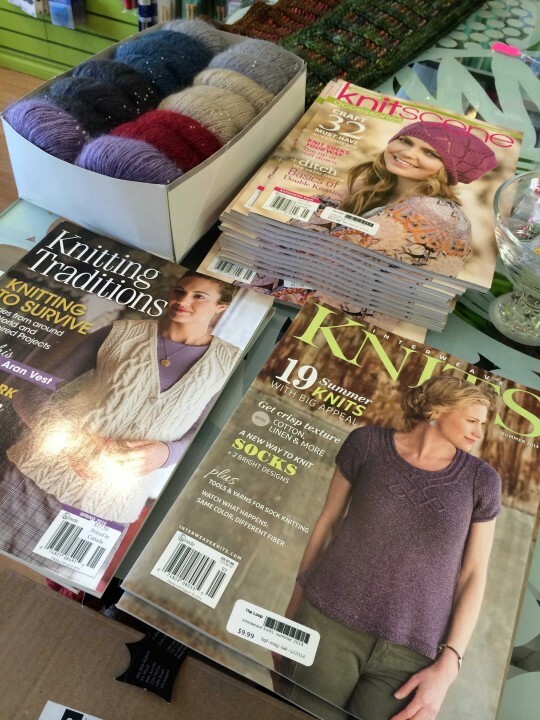 A brand new yarn tasting, and new magazines!